Interesting story posted on The Atlantic a few days ago about how the kids in a family made a video on YouTube that hit one million views in only seven hours. The father of the children happens to be an academic presently studying nineteenth century newspapers and how stories were virally propagated in the media at that time. At the Tech Sharecase today, we discussed a variety of topics while beating the heat with popsicles. Mike Waldman and I are about to launch a free toolbar that offers Swiss Army knife array of tools from within the browser (see the image below for details on some of the features). This summer, we’ll first announce the beta version of the toolbar to library staff, then do some usability testing, and when the final version is ready, publish a LibGuide about it. We also hope to find a way to have it installed on campus desktop and laptop computers. Feel free to download it now and install it in Firefox or Google Chrome (note: admin rights are not necessary to do this). We took at a look at the Kaltura software the library may use to replace the homegrown system that powers the Digital Media Library. We also talked about Baruch’s content on iTunes U and YouTube (where the college and the library have their own accounts). 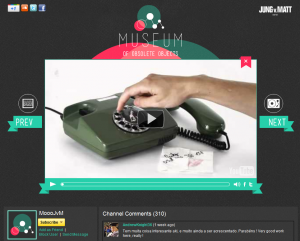 We watched a few videos from the Youtube page for the Museum of Obsolete Objects. This page shows a video clips for several obsolete technologies like the phonograph, abacus, hand-held egg beaters and and the rotary phone. We then listened to an interview with Karen Coyle by David Weinberger from the Harvard Library Innovation Laboratory. She discussed metadata of library contents for connecting resources beyond the library world. We also discussed ExLibris in regards to our new library website redesign. LexisNexis in a box was mentioned as an example of outdated technology. 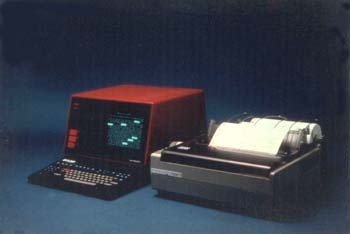 A picture of the LexisNexis Ubiq, complete with dot matrix printer is below. The Newman Library is in the process of becoming a member of the IDS Project, a program that got its start among the SUNYs as a way to rethink resource sharing, interlibrary loan, and collection development workflows. Among its initiatives is IDS Search, a service that runs member library catalogs in WorldCat Local. You can try out these catalog search overlays on this IDS page. The search overlay connects to the WorldCat API, Google Books, and other web services to create a richer search experience than is offered in our Aleph catalog interface. The overlay also features spell check and “did you mean” functions. The catalogs that are up now are in pre-alpha state; some issues with the data are already apparent. One major local issue is that there is a four-month lag between when we add a record for a newly ordered item in Aleph and when we upload it to WorldCat. We do this because by 4 months we have received 90% of the Coutts books we have ordered (as a reminder these come already processed and cataloged which is why it takes the books the time it does to reach us). We wouldn’t want to put records for books we don’t have in WorldCat. However, sometimes we get newly ordered items well in advance of the usual 4 month window, but there is no good way to upload these items as they come in. This means that the WorldCat data will not feature items that Aleph may correctly indicate we have received because they came in before the usual 4-month delivery/processing time. This applies mostly to books received from Coutts; any cataloging that is done locally is updated at time of cataloging. Mike Waldman will be attending a meeting soon about IDS and will get back to us with more details on the project. Anyone interested in the project is welcome to attend as well. We talked about a new effort to stream videos from a Baruch server. The project allows us to embed a video player on a password-protected course-reserve page. Before we can make our own copy of a video to stream, we have to secure the license to do so, a process that can be complex. We also talked about UCLA’s decision this past spring to resume its practice of streaming of previously purchased videos without securing a license to do so. We talked about using free and open-source software, CamStudio, for creating quick and dirty screencasts. At issue was what the ideal settings should be to ensure that when the files are uploaded to YouTube the picture is clear.